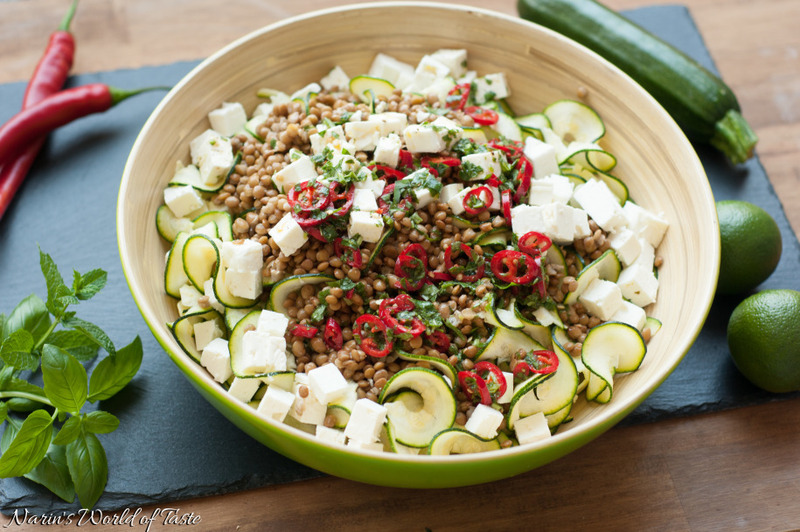 This salad is a fresh and light summer dish that makes you feel fantastic inside-out on hot days. 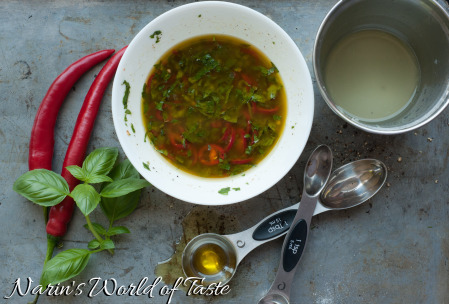 The combination of the spicy and sour dressing with the salty feta gives it a great twist. Luxembourg has been blessed with true summer weather recently, and we’ve been spending days outside and enjoying barbecues almost every day with lots of fresh veggies and fish or beef. This salad makes a great side dish to any barbecue as well. Wash the zucchini and then use a Spiralizer or peeler to cut the zucchini into shapes similar to linguini. 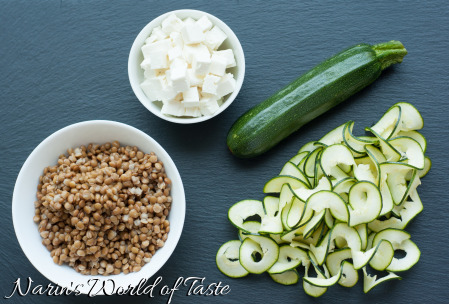 Drain the lentils and add them to the zucchini in a bowl. 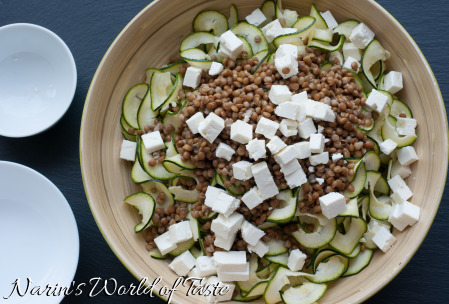 Then cut the feta into small cubes and add them as well. 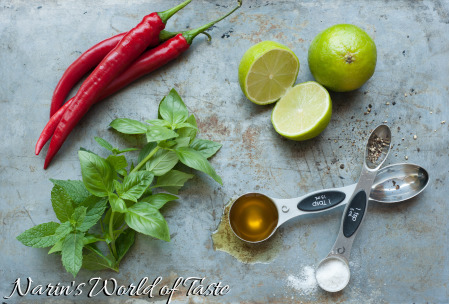 To make the Mint-Lime Dressing, wash the herbs and chillies, chop the herbs thinly, and slice the chillies into small rings. Mix all the ingredients together in a bowl until well combined. Pour the dressing over the salad and combine everything thoroughly. Serve the salad as a side dish to go with some grilled fish or meet or what ever you prefer. Looks good, I love grilled and roasted zucchini! I can’t stand it raw though. The feta sounds like an even better idea than the parm. yum!! 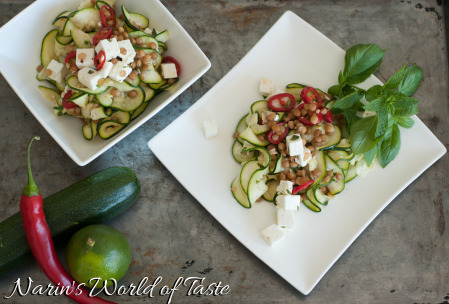 Love a cool salad recipe for summer! !